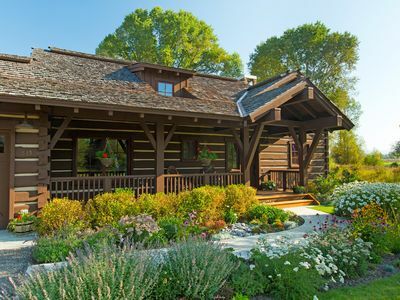 This timeless cabin sits in a pristine setting just north of the town of Jackson in the exquisite Jackson Hole Golf and Tennis Club . 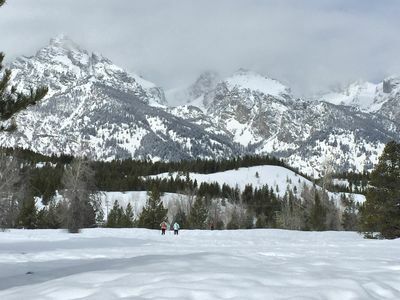 It has lovely views of both the Grand Teton and the Sleeping Indian and is beside the fifth hole of Jackson Hole Golf and Tennis Club. 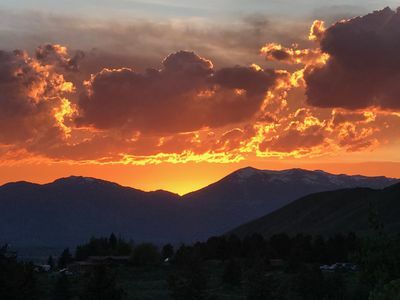 You don’t have to leave the house to have an amazing experience, but you are just minutes south of the entrances to both Yellowstone National Park and Grand Teton National Park. Downtown Jackson is about an 8 minute car ride from the property. 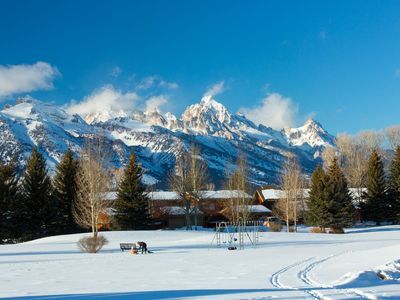 The Jackson Hole Golf and Tennis Club has a great restaurant with spectacular views of the Tetons. 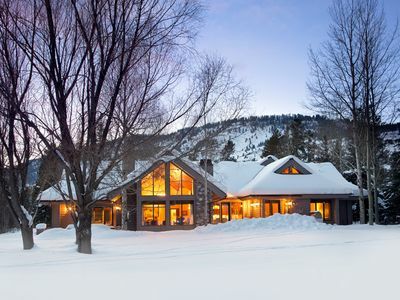 This property provides luxurious living with the rustic feel of cabin life in Jackson Hole. 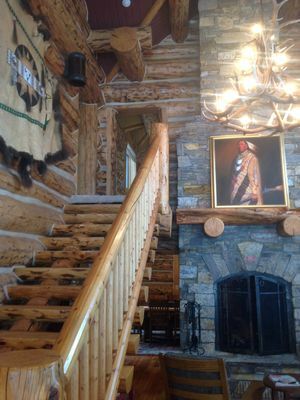 Cabin living in this property provides the western experience combined with elegance for the perfect retreat! 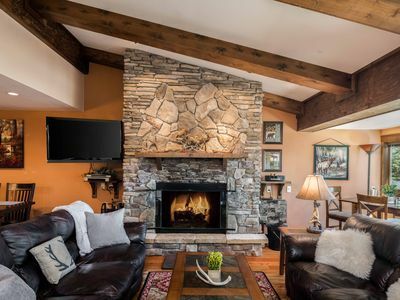 The meticulously maintained and professionally decorated interior features hand-forged chandeliers, a gourmet kitchen, a beautiful stone fireplace, and high end furnishings throughout that will make your stay even more enjoyable. 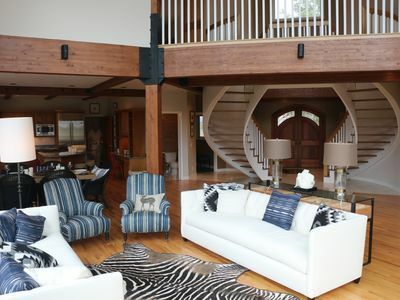 There are three private bedrooms and three bathrooms, which provide a wonderful separation of space with the large master suite and one guest room on the main level and a separate guest suite and loft with a living area on the second floor. 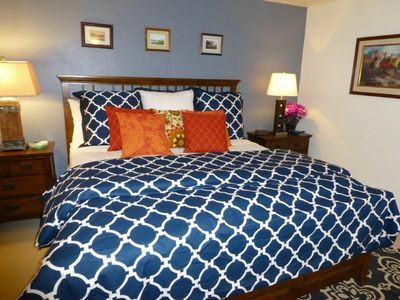 Enjoy soaking in the jacuzzi tub in the master suite or a private door to the deck from the master suite. 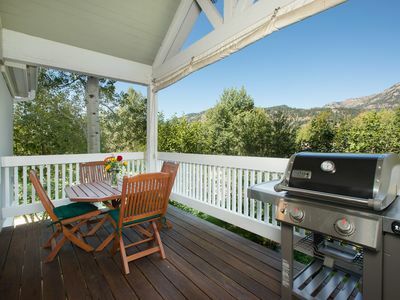 The great views can be enjoyed all around and inside the property. 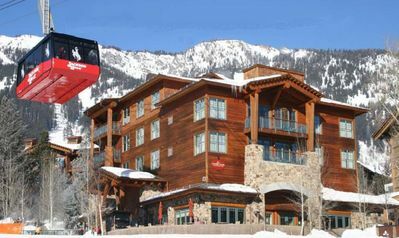 You are literally right below the mountains and directly across from the Jackson Hole Mountain Resort. 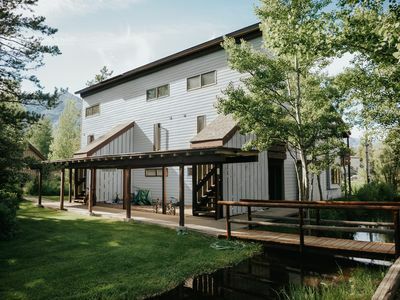 The outdoor living space with decks almost wrapping the entire house, allows you to maximize the setting you are staying in on the edge of the golf course and national park land. There is a TV in the living room and master bedroom. This cabin has a washer and dryer, wifi, cable and a one car garage. 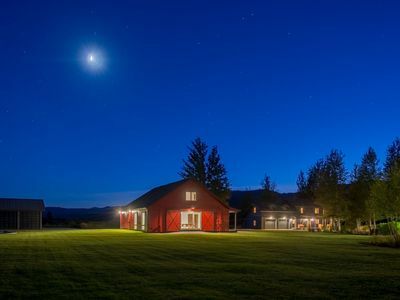 This property will allow you to make the most of your western vacation. You are a short car ride from Jackson, the national parks, the Snake River, Teton Village, and the airport. 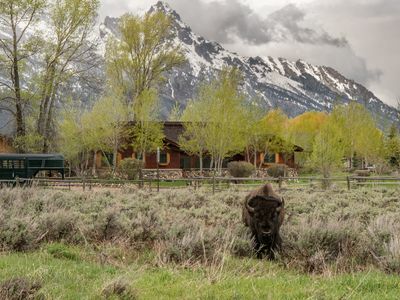 It offers everything you are looking for on your vacation and at the end of the day, you can return home to enjoy a lovely ambiance beneath a sunset over the Teton Range while relaxing on the porch or beside the fire crackling inside. Visit Jackson Hole Golf and Tennis for golf rates. 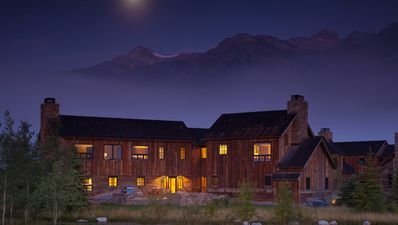 Let us know if we can offer recommendations for a wonderful stay in Jackson Hole! 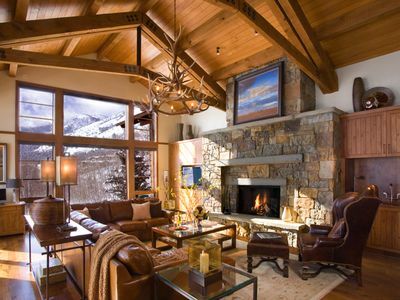 Teton Shadows townhouse~Close to Jackson Hole and Grand Teton National Park! 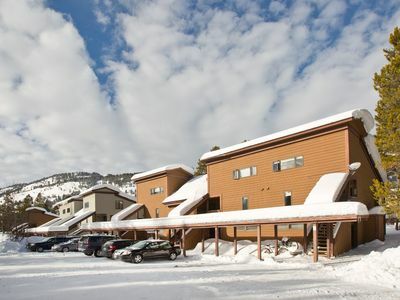 Ski Condominium In Jackson WY-Available for March 2-9 only! 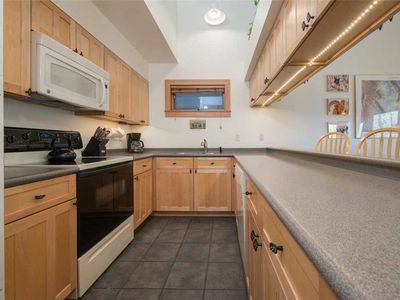 RMR:Beautiful Teton Pines Townhouse with Private Hot Tub! Free Activities! 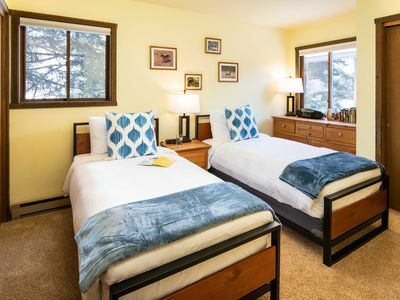 Enjoy Your Jackson Summer Only Minutes away from Grand Teton National Park! Outpost: Sleeping Indian E8 - Hot Tub & Pool Access! 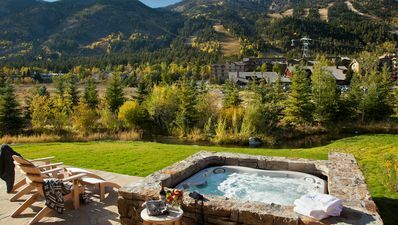 Outpost: Snow Ridge 6 - Hot Tub & Pool Access!